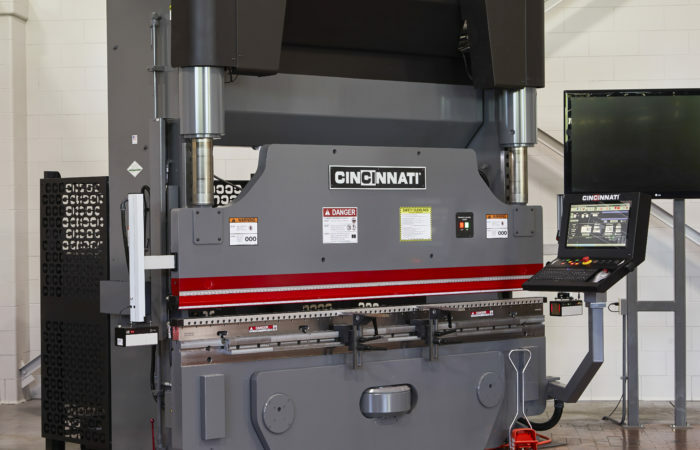 From our modern 500,000-square-foot plant and technical center on an 80 acre campus near Cincinnati, Ohio, we engineer and build our Laser Cutting Systems, Automation, Press Brakes, Shears, Powder Metal Presses, and Additive Manufacturing, to the standard of ruggedness required in the North American market – with premium engineering features that stand up to years of rigorous use in demanding environments. Our drive is evident in the design of our machines, controls and software. 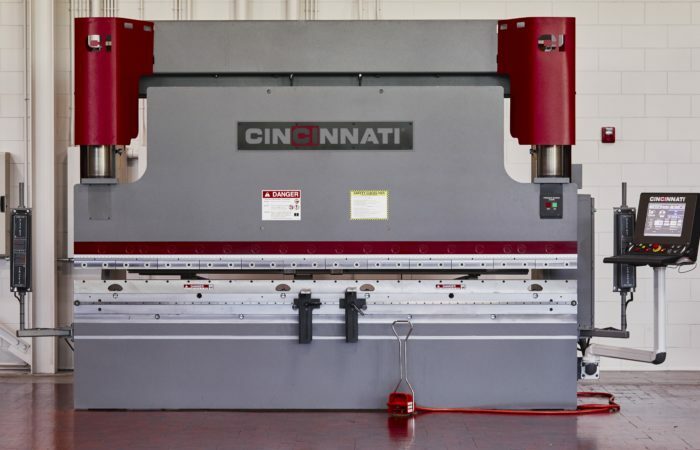 We developed the first linear-motor-driven laser cutting systems, and still produce our own linear motors, controls and software – unique in the industry. Our machines' endurance is legendary. 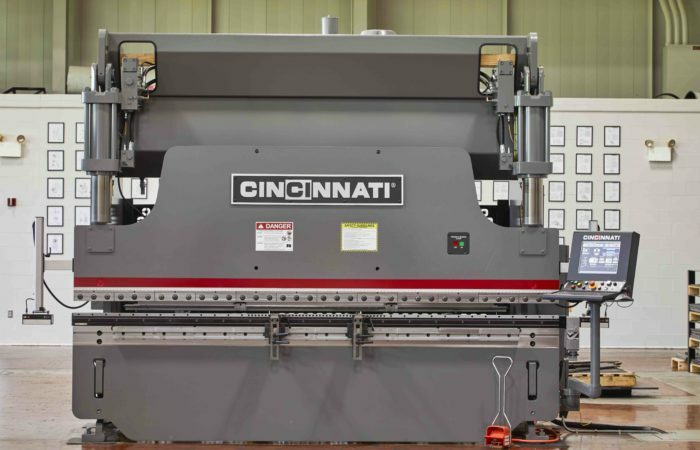 It is common to see Depression-era CINCINNATI press brakes and shears in daily use today. 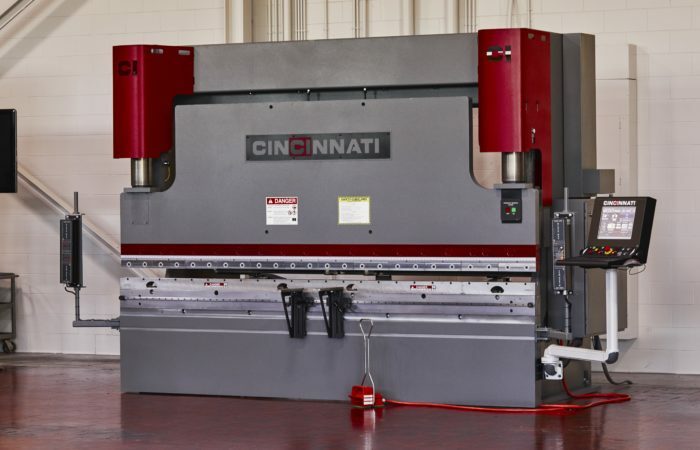 In fact, one of our first commercial laser cutting systems from the eighties is still in operation. This means low cost of ownership for our customers and high resale values. 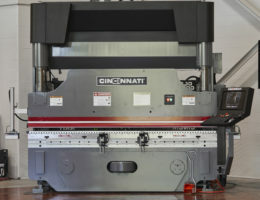 CINCINNATI machines consistently top owner surveys for dependability and satisfaction. We sell direct in the U.S. and our service technicians are factory-trained employees. Parts are ordered through and shipped from our corporate headquarters in Harrison, Ohio. We continue to demonstrate a young outlook and willingness to embrace new ideas and technology – while staying true to our heritage. The Goform is the perfect solution for small parts, up to ¼” thick and less than 50 pounds. 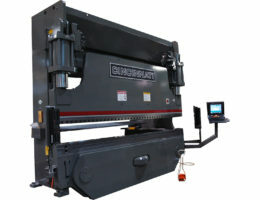 MAXFORM Series Press Brake. Higher speeds mean more production. 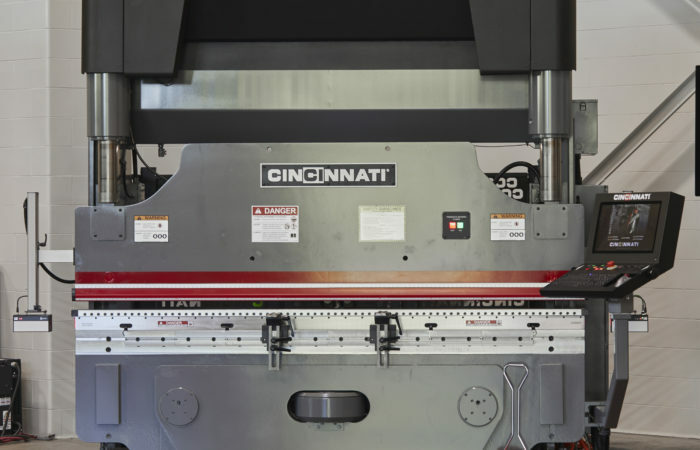 The Proform+ includes numerous premium-engineering features that ensure reliable, long-lived operation. 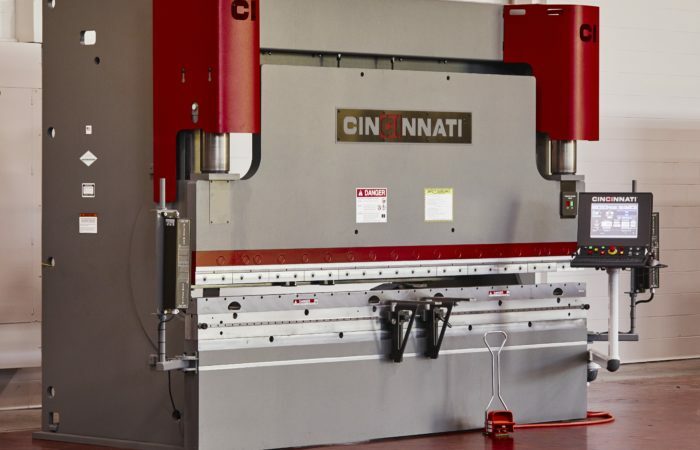 CINCINNATI’s Baseform press brake is an affordable, precise, and available for quick delivery. The Proform+ has dual pressure transducers on its hydraulic cylinders for increased tonnage accuracy, and digital encoders to deliver ±0.0004” (0.01 mm) ram repeatability for close-tolerance forming and higher part quality. 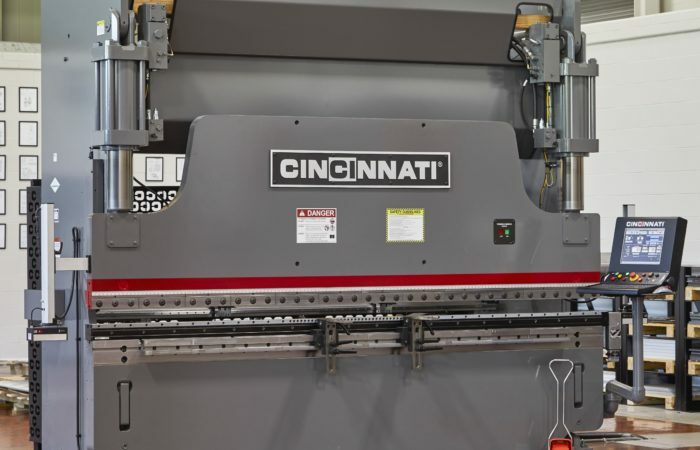 The press brake’s PC-based control is now bed-mounted to the machine with a swinging pendent arm mount, and has been upgraded to include a trackball and keyboard. 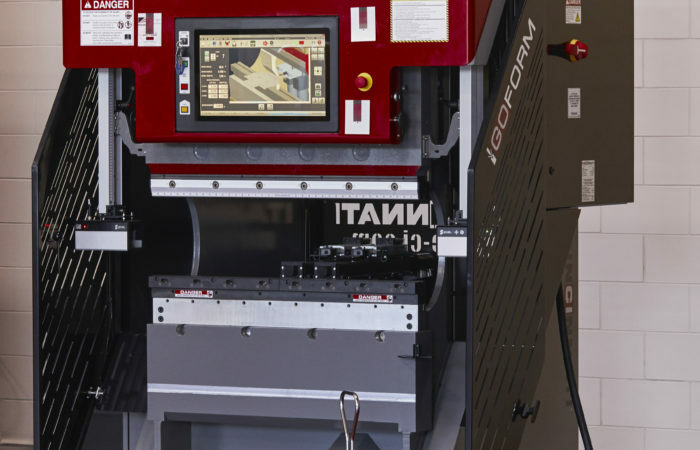 An optional Wila crowning system compensates for bed and ram deflections during bending, and eliminates the costly trial-and-error approach used in traditional die shimming. Available Proform+ models include 90- to 350-ton capacity and overall bed lengths from eight to 16 ft. 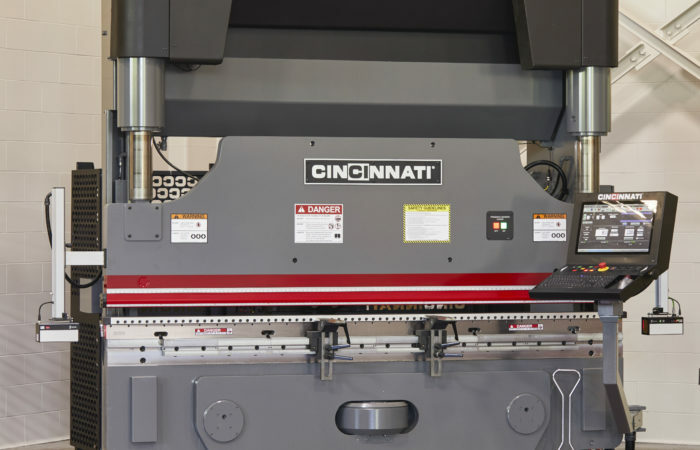 The Proform+ includes numerous premium-engineering features that ensure reliable, long-lived operation. Clevis-mounted cylinders and centerline loading confine operating stress to the main housing, eliminating cylinder misalignment. The Machine’s Variable Volume Load Sensing (VVLS) hydraulic system lowers maintenance costs and increases energy efficiency. 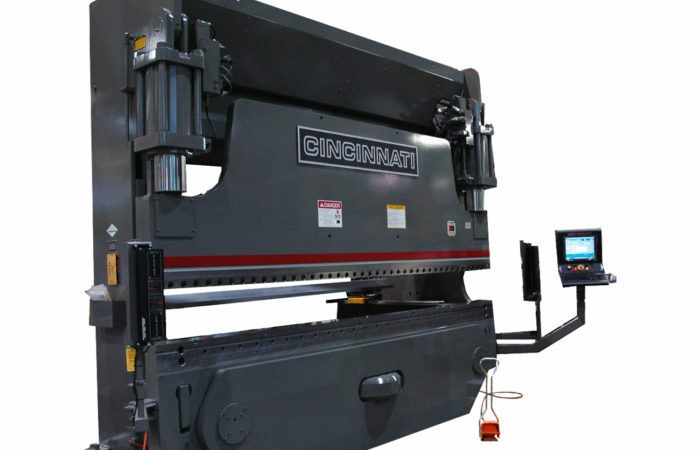 Hydraulic cylinders use hardened piston rods with precision guiding to minimize oil leaks, and the machine’s heavy plate frame is precision machined and rigidly interlocked – not welded – to better resist deflection for years of precision forming at maximum loading. 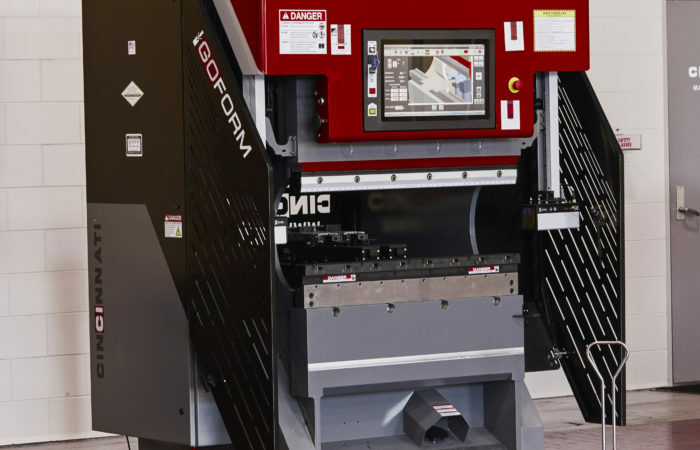 The Proform+'s powerful, PC-based control combines 3D graphics interface with simple touch-screen operation to speed setup and programming times, as well as optimize throughput. 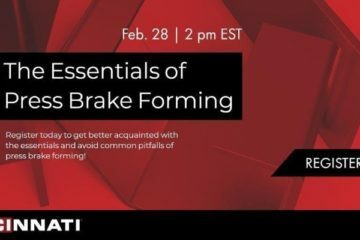 New part programs can be generated through manual data entry or by drawing the part in cross-section or flat pattern, and then selecting tooling and bend sequence. A special job setup page displays tool segment lengths and tool locations, as well as notes to improve part consistency. 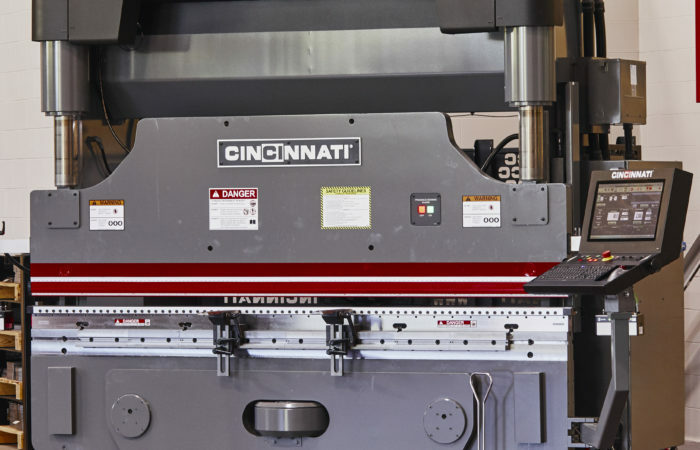 The Proform+ is available with a variety of tool holders, filler blocks and clamps to accommodate most major tooling types, including American or European-style tooling. 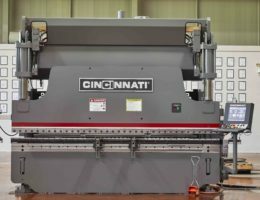 The new press brake includes a standard bolt-on manual quick clamp or optional bolt-on hydraulic clamps to accommodate major manufacturers’ die designs. Both clamps dramatically reduce setup time. 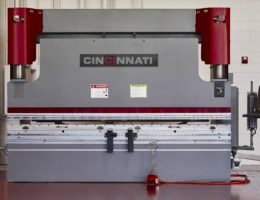 An optional 5-axis backgage – with fast positioning speeds, flip backgage fingers with hardened dowel pins, 40-inch gage points and auto flange correction – handles a variety of complex parts. 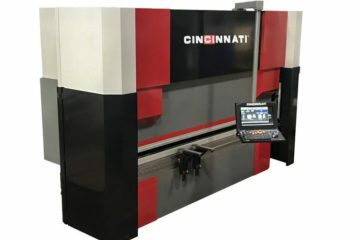 In addition to the new Wila crowning system, the Proform+ is also available with CINCINNATI’s Auto Crown, an automatic, hydraulically-powered crowning device that can produce angles within ±1/2° variation along the bend line.All Proform+ models have a quick-access emergency-stop button in the center of the operator station, with an additional palm button and footswitch available for two-operator jobs. The Baseform includes a powerful PC-based control. Available in 90- and 175-ton capacity models, the entry-level Baseform includes a microcrowned bed, and ±0.0004-in. ram repeatability. The Baseform comes standard with a backgage designed to reduce setup and handling time in processing a wide variety of jobs. Operators can easily program backgage positions necessary to form multiple flanges in one handling. Gage allowance, clamp position, retract distance and gage pause are also programmable, and a closed-loop servo drive provides fast, precise gage positions. A full-length bar, two adjustable gage holders with two sets of fingers and a positioning tool are standard equipment.